The new mounted Maestro from Horsch is ideal for farming operations that need precision but do not need the capacity of the Horsch trailed CC and SW stablemates. The Maestro range features pneumatic single grain technology, developed in-house by Horsch, to offer speed and precision control allowing the Maestro to be used for maize, soy, sunflowers, sugarbeet and rapeseed at high speed. Available in either 8-row with 70cm, 75cm and 80cm row spacing or 12-row configurations with 45cm or 50cm spacing, each row has a 70 litre seed hopper feeding its own seed metering device. A 300kg coulter pressure, which can be adjusted on the move from the screen in the cab, enables effective operation at around 12km/h. The metering system uses a metering disc with open slots that face outwards. 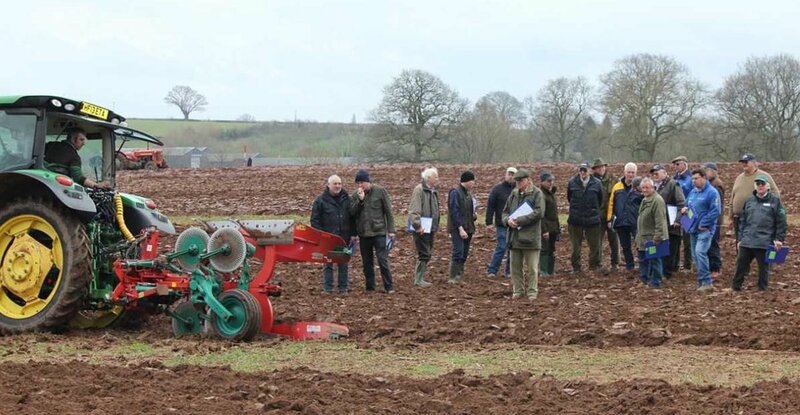 An electronic brushless motor drives each unit and requires only one amp per row unit so standard tractor electrics can power even 12-row drills. An integrated grain sensor registers the number of grains sown and their distance apart with placement accuracy shown on the screen in tractor cab. The driver can react to different conditions and the driving speed is adapted as required. A front-mounted Partner 1600 FT tank complements the mounted Maestro. Originally developed to incorporate fertiliser while cultivating, the Partner’s 1600 litre pressurised tank is a straightforward and flexible solution for all fertiliser applications. The drill can be used with or without the front tank.